If you've always wanted to create one of those attractive morphing effects with your pictures, this is your opportunity. Simply download WinMorph and use your own digital photos to create morphing or warping effects in just a few steps. Even though the program is not as intuitive as other similar tools – it doesn't the traditional dot system, but a shape one instead – it's still a fairly easy way to create eye-catching animations with almost no effort. 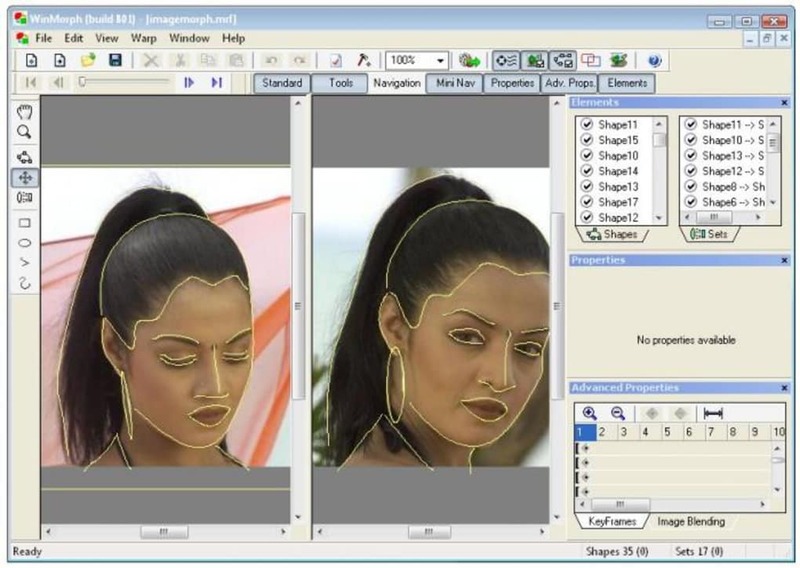 Warping effects enable you to change the expression on a face or modify the shape of any given object on a picture, while morphing effects involve a smooth transition from one photo to another. In case you need any help, the program includes some basic tutorials to get you started. 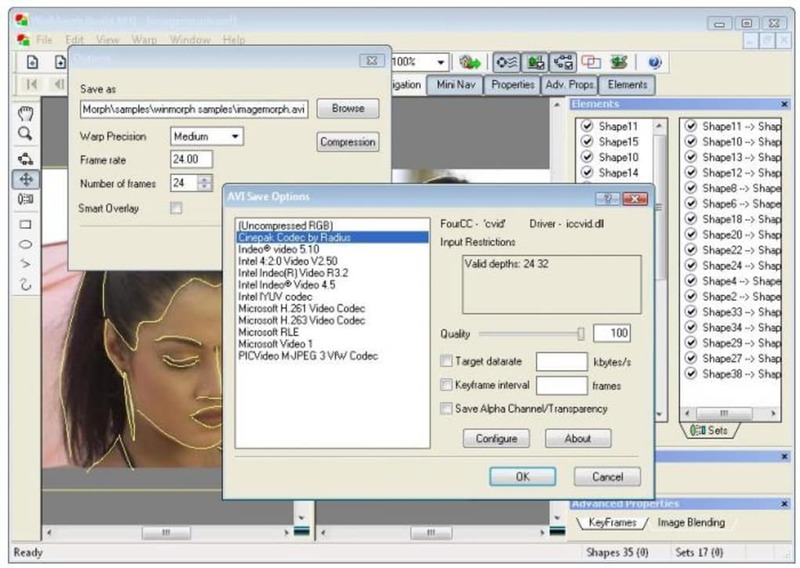 WinMorph can export your creations to a wide variety of formats, including AVI, MPEG and even SWF (Flash). On the downside, as we mentioned before, the program doesn't achieve a very high degree of usability – especially on its interface. With WinMorph – and a little patience from your side – you'll be able to create awesome warping or morphing effects and export them to several different formats. Output formats: JPEG, BMP, PNG, TGA, TIFF, AVI, MPEG and SWF (that's right, Flash!). Professional quality warping and morphing tools. Works both as a standalone application and as a plug-in for various video editors to get best of both worlds. 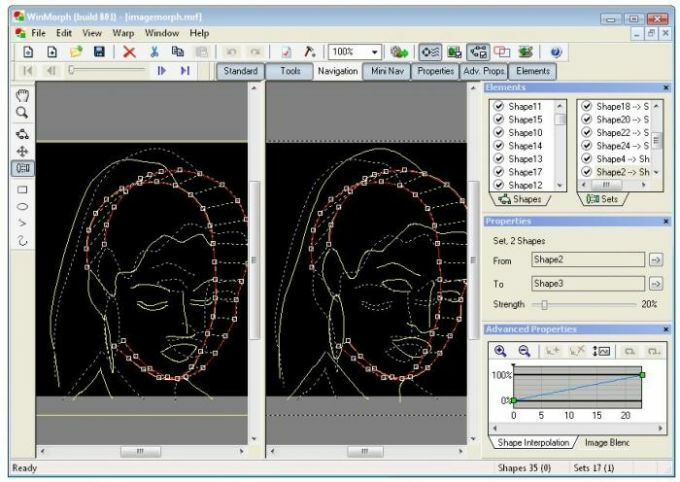 Intuitive shape-based morphing for both ease of use and high degree of freedom. Advanced keyframing, blending and distortion tools for total control. Can do dynamic morphing (also called video morphing). Stops Working and Is Slow. Program is easy to use but suddenly stops working and runs really slow. I have a fast computer and I have no viruses on it... Winmorph seems to be the problem so I have to stop using it. Extremely slow when trying to view your creation. What do you think about WinMorph? Do you recommend it? Why?